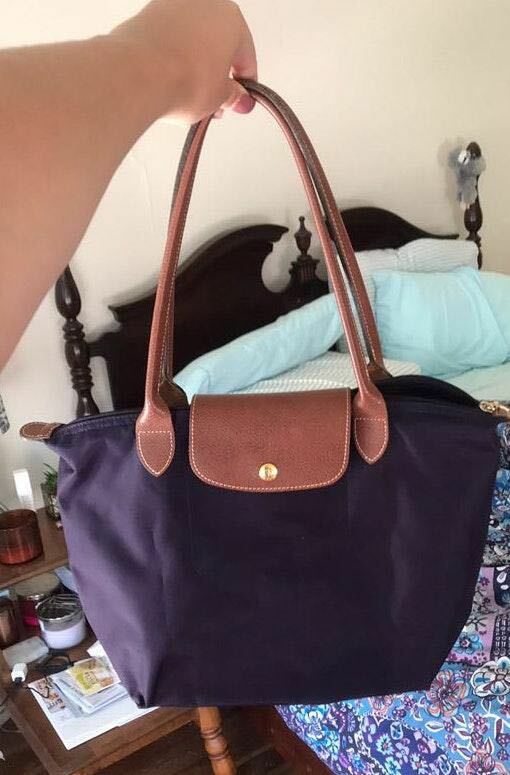 Excellent condition small longchamp tote. The color is hard to capture depending on lighting but it’s a deep purple, called billberry if you want to research. It is used, with light corner wear.